Technology has always been endearing and has gone a long way in improving the performance of our day to day lives. Right from the days the weapons were introduced, and the fire was discovered – the technology has always been able to impact our culture and society. And the next phase of this technological advancement is, yes – you guessed it right! The Smart Homes! Have Smart Homes Really Become a Reality? Well, yes – the smart home has become a fact and a reality. In fact, the companies like Google, Microsoft, and Samsung have been at the forefront of the technological innovation. One thing is evident there – the Smart Home concept is here forever. Control Your Home on Your Fingertips! What is a smart home concept all about? It is about connecting the missing points – or the dots as we call them. There are several innovative ideas that have made it possible. The smartphones, smart watches, the products powered by the Internet of Things – that list would be endless. The focus has not only been about the smart home but a truly realistic smart life. In fact, a smart life will help you stay connected and thus tends to be less stressful and comfortable. Of course, there are views that claim that the overindulgence in the technology has made us aloof and detached from the world around us. Maybe it is true to certain extent, but still the smart home technology and the smart devices like smart homes, smart wearables like smartwatches and not to forget the innovative lighting that listens to your commands – well, literally! How Effective can it be to lead a really Smart Life? 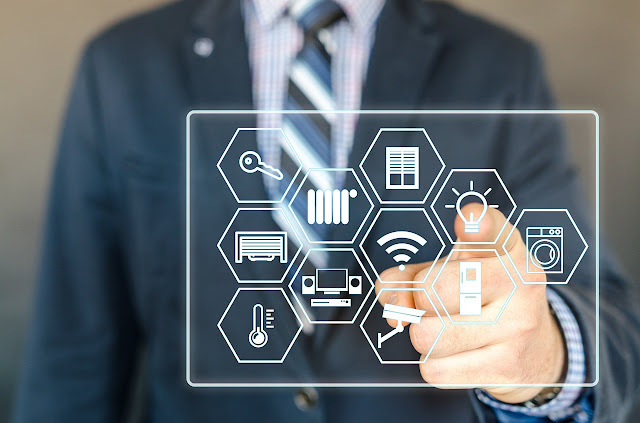 Smart home technology or the smart devices are the ones that stay connected to one another and get the things done as per your preferences. Or rather we may say, your hips and whims! They can be quite effective in turning your life more stress free, connected and yes – COMPLETE. Imagine a situation where you would find your clothes iron switched on and the coffee maker switched on by itself when you get up from your bed and switch on the light. In fact, you can even switch on the light through claps or a voice command. Won’t it be one of the excellent means of streamlining your life? The technology works on the basis of a smart hub that combines all the smart devices together and thus acts as a centralized place for your connected devices. In fact, the recently launched smart speakers have indeed become the complete hubs in their own right. Of course, as the technology stands as of now, the technology has been able to achieve a few basic tasks like playing your favorite music or working with your smart lights. However, these smart speakers are capable of much more than what they have been able to achieve these days. The smart speakers can be connected to the connected system, and thus you can control our homes and the other connected devices. This can indeed go a long way in promoting the smoother functionality in our daily lives. That should explain to some extent the focus that smart devices can have in your life. Of course, the technology is still evolving, and it will go a long way in becoming a focused performer. But, as things stand as of now – we would consider the smart devices like smart watches, smart homes, and other similar options have a lot to offer. In case you want to turn your house into a smart home with #SmartHomeRevolution or get fit by using a wearable smart device with #GetFitWithFlipkart , check out the complete collection of smart devices available on Flipkart.